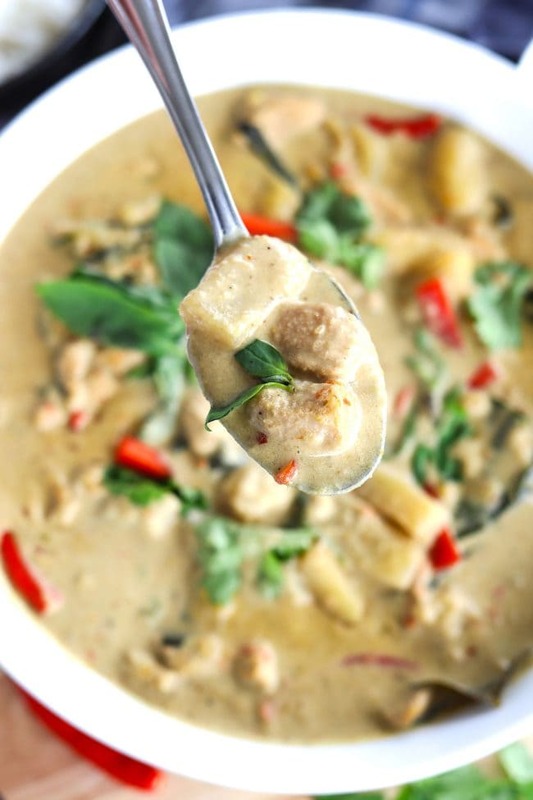 My name is Lavina, and I am a SERIOUS Thai food addict. Not kidding in the slightest here, and 👆 is probably an understatement. 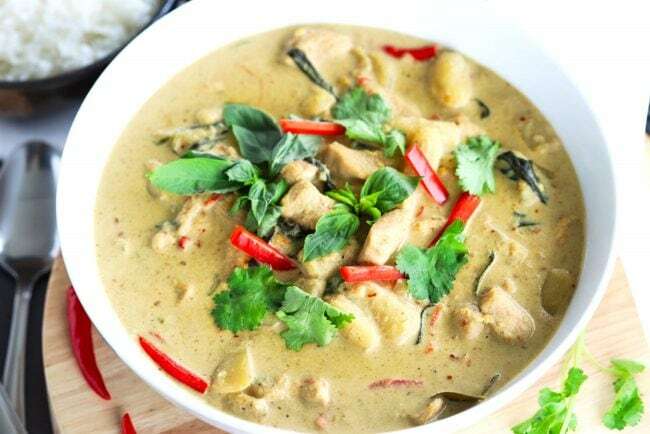 Especially since not a single week goes by without some sort Thai food in my life – be it takeaway on my day off, or a home-cooked concoction! 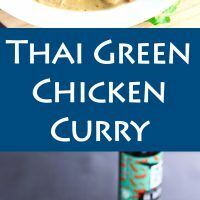 One of my absolute favorite Thai dishes is Thai Green Chicken Curry. 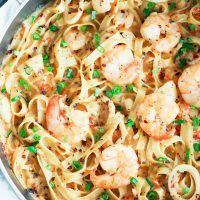 But I hardly ever order it at restaurants because it’s super easy to make at home. 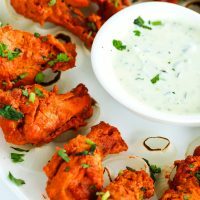 I rather try other dishes that aren’t my speciality while dining out! 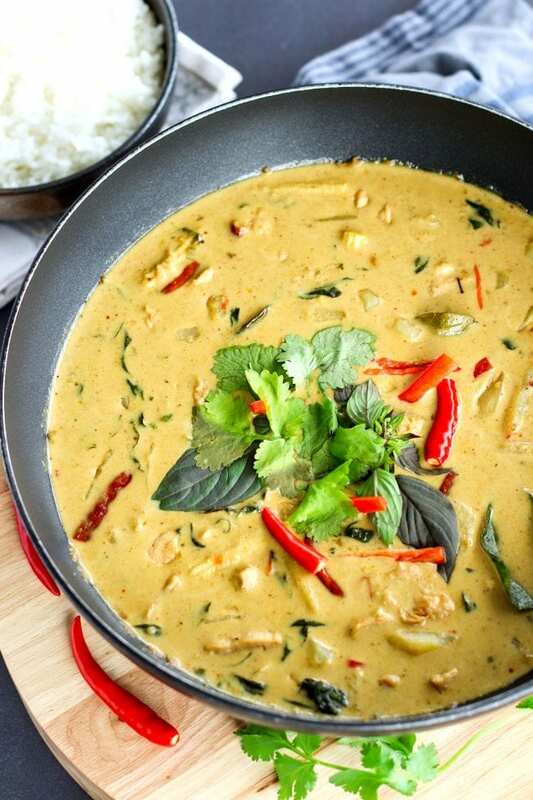 To be honest, I love all types of Thai curries. 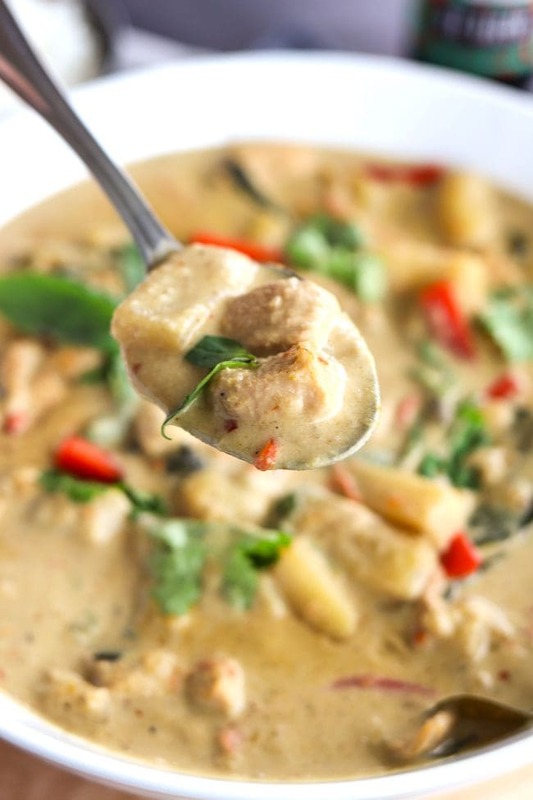 Give me creamy spicy Penang curry, bold and bright Red curry, or peanutty cream-y-licious Massaman curry and I’m a happy bunny! 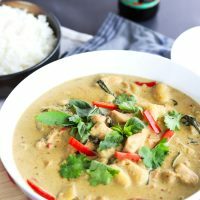 I think anyone that has tried Thai food knows what Thai green curry is. 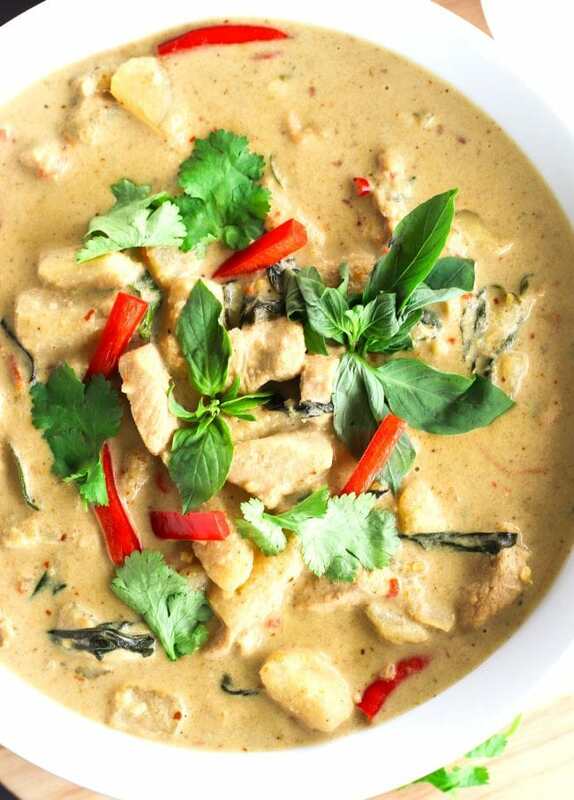 You’ve probably seen it on menus at Thai restaurants and possibly have even ordered it. 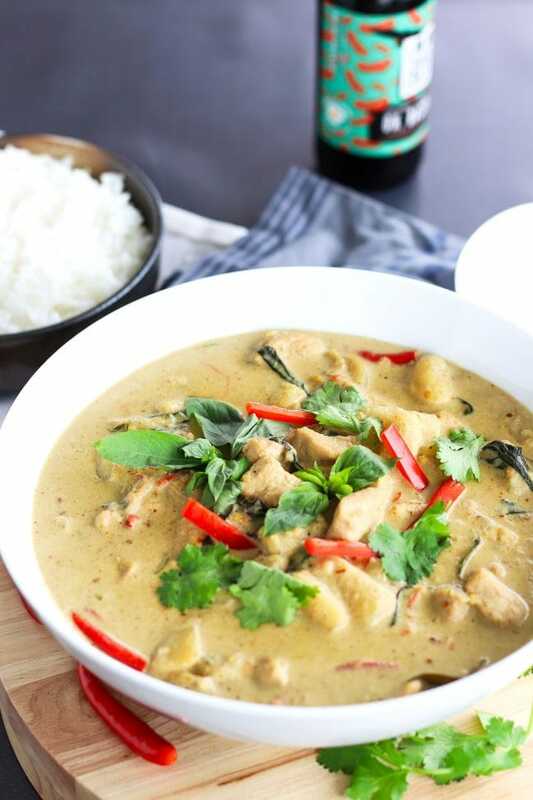 But for those who need a little info, it’s a curry that’s spicy and sweet and made with Thai green curry paste. 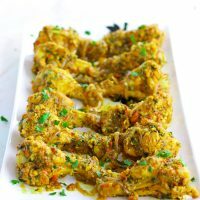 The curry paste gets its green color from cilantro stems and roots as well as green chilies, but it’s also made up of other ingredients such as kaffir lime peel, lemongrass, galangal, coriander seeds, garlic, black peppercorns, and shrimp paste. These ingredients are all smashed together in a mortar with a pestle to form a green curry paste. 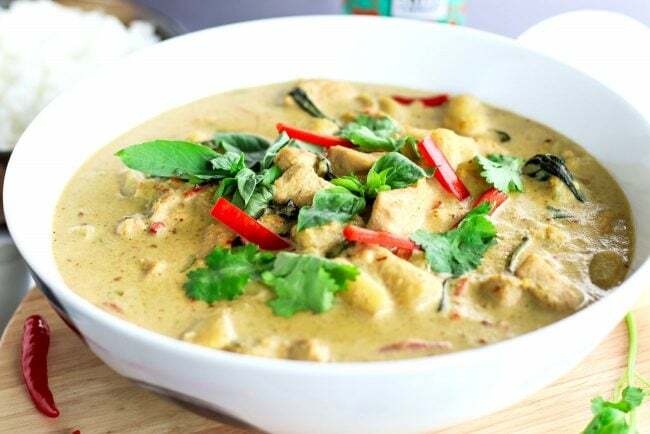 Then, the paste is used to make a coconut milk based curry with protein, veggies, herbs and Thai food essentials such as garlic, Thai sweet basil, kaffir lime leaves, coconut/palm sugar, and red bird’s eye chilies. 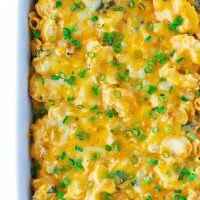 It’s extremely easy to make and comes together fairly quickly. 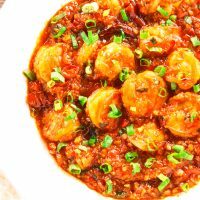 Once you have all your ingredients prepped and have parboiled the potatoes, all you need to do is add the ingredients at the right time, sauté and stir, and just let the creamy curry simmer away! 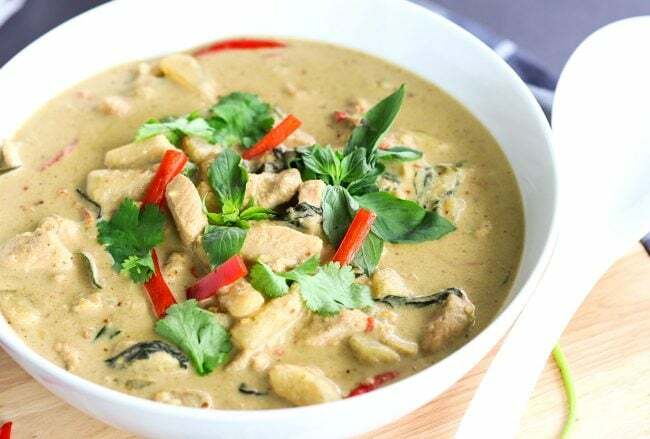 Although I’ve made green curry paste from scratch several times before (thanks to some training from Thai cooking classes in Bangkok – 🙏), these days I prefer to use a readymade curry paste because it saves time and works just perfectly fine. 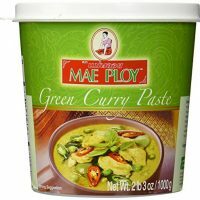 I use Mae Ploy’s Green Curry Paste because I find it to be more flavorful than other brands such as Thai Kitchen and De Siam. I should also add that it’s a bit spicier than most other brands, including the aforementioned two. 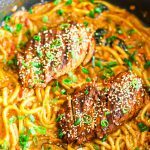 So if you’re not big on heat, use 1-2 tablespoons of paste first, do a taste test and add more paste if you feel the curry could do with more flavor and/or heat. 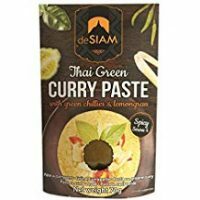 If you have a go-to green curry paste already that you like, feel free to use that instead and let us know in the comments below if you recommend it! 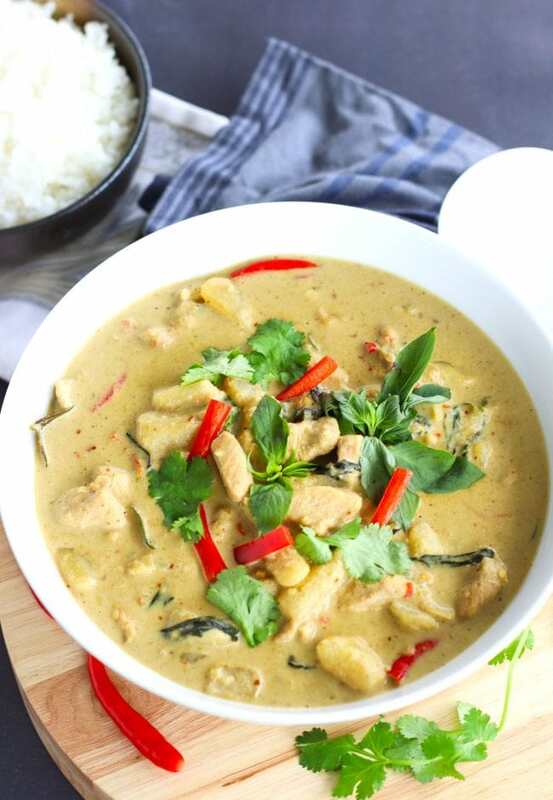 What I love about this curry is that it’s totally customizable when it comes to the protein and veggies. 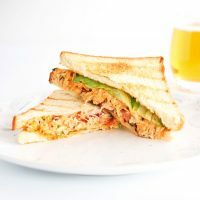 Although I’m sharing a version with chicken, you can swap for shrimp, pork or beef, etc. if that’s more your thing. 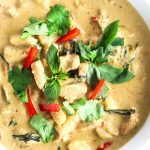 Aside from the chicken and my veggies of choice in this recipe – baby corn and potatoes – I use all the typical ingredients found in a Thai green curry such as fish sauce, kaffir lime leaves, Thai sweet basil, coconut sugar, and of course – coconut milk. 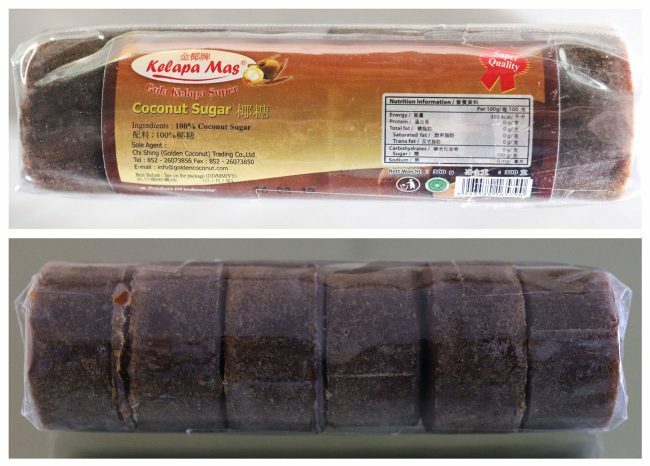 In the Thai & Indonesian grocery stall at my local wet market, the coconut sugar comes in 50g discs and is sold in 300g packs (6 discs per pack). 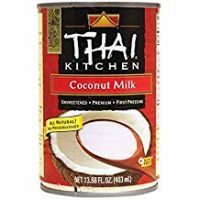 You can substitute with granulated coconut/palm or brown sugar if that’s easier to find or you happen to have it on hand already. 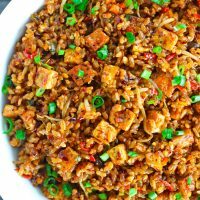 You can find most of the ingredients in this recipe in the Asian aisle of your regular big supermarket. If not, the rest should be available in your local Asian or Thai grocery store. 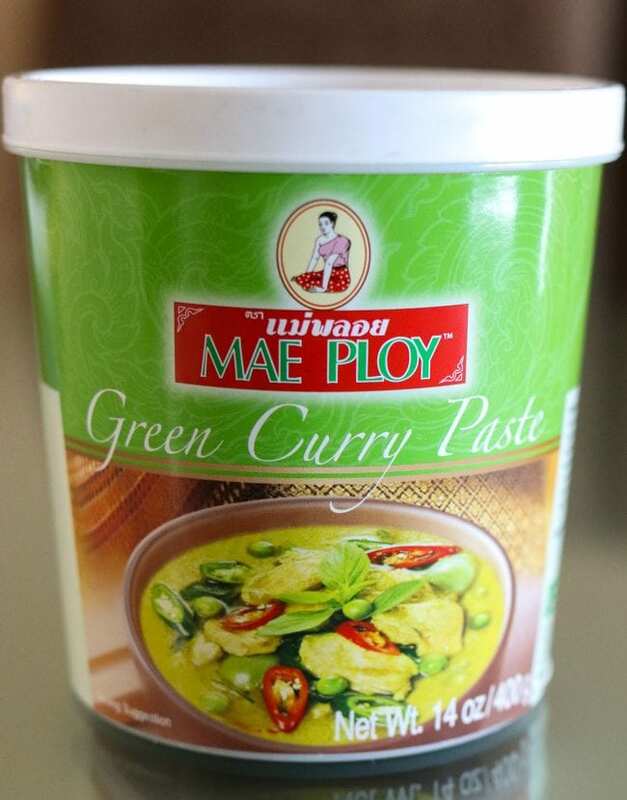 Make sure to use a vegetarian green curry paste as some pastes contain shrimp. 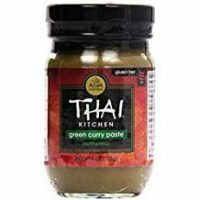 Thai Kitchen’s Green Curry Paste is vegan friendly and also gluten-free, but there are several others out there that are too, so make sure to check the ingredients on the back of the jar/bottle. 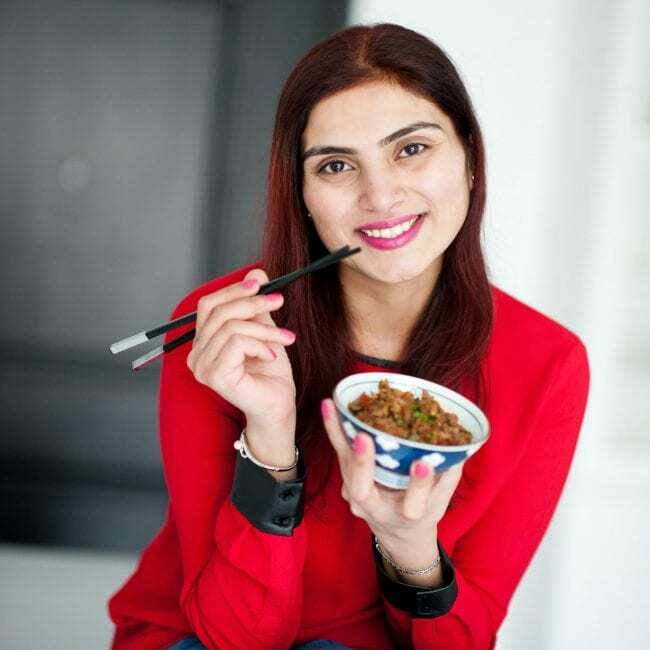 Also, make the curry with either all veggies, or with a combination of vegetables and pan-fried tofu cubes. 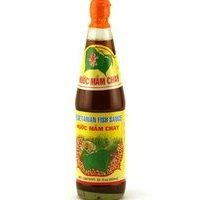 Use a vegetarian fish sauce such as Fortuna’s Vegetarian Fish Sauce (Nuoc Mam Chay) – which is made out of seaweed. CAN I STILL MAKE THIS IF I’M NOT BIG ON SPICY FOOD? The beauty about Thai curries is that they can be as spicy or mild as you like and you can adjust the amount of chilies based on your preferred heat level. 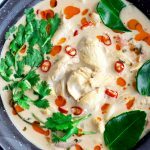 I like my curries to be on the spicier side so my favorites and the usual suspects – Thai Dried Red Chili, chili oil, ground Thai red chili pepper – are included along with the fresh red and green chilies in my spiced up Thai Green Chicken curry. 😉 But they are totally optional so use as much or as little as you like. Or don’t include the spicy ingredients at all if that works better for you.